'Solo: A Star Wars Story': Is the franchise suffering from fatigue? Is 'Solo' suffering from 'Star Wars' fatigue? Every new "Star Wars" film brings an excitement that can be felt throughout the galaxy. Yet, this weekend's "Solo: A Star Wars Story" seems to be missing some of the usual galactic hype. Is Disney's Han Solo spinoff, which tells the origin story of the smuggler, suffering from a bit of "Star Wars" fatigue? "It's certainly possible after four movies in two and a half years, although fatigue is a relative term in the case of 'Star Wars,'" said Shawn Robbins, chief analyst at BoxOffice.com. "This is a spinoff with established characters that still has a shot at a $100 million or more opening. Every movie franchise would love to have that level of fatigue." Disney has a clockwork approach with its other blockbuster brand, Marvel, rolling out superhero movies several times a year. But this movie release model, even on a smaller scale, presents a real challenge with "Star Wars." The sci-fi series started as a concrete story about the Skywalker family drama -- even while it grew into an expanded universe. Yet, the films always stayed close to the main story, which gave them a special quality. In December of 2016, Disney successfully changed that template with its first spinoff, "Rogue One," showing that there's life away from the Skywalkers. "Solo" is another attempt at that, but it made $35.6 million on Friday, about half of what "Rogue One" brought in on its opening day. In fact, "Solo" is currently forecast for a four day holiday weekend of $105 million to $115 million domestically. That would be the lowest opening for a "Star Wars" film since the three day opening of 2005's "Revenge of the Sith." The current projection is a solid drop from original estimates that had the film notching a holiday weekend in the $130 million to $150 million range. We're experiencing "Star Wars" saturation. When the first movie came out in 1977, fans had to wait three years for each new film. Another 16 years went by until the prequels. It was yet another decade before the franchise was reawakened by "The Force Awakens." It's only been five months since "The Last Jedi," but here comes "Solo." And even when "Star Wars" isn't in theaters, it's ever-present in pop culture. There's TV shows, books, merchandising, video games, fan events, theme parks and year round announcements about upcoming projects. The galaxy isn't far, far away, it's here and it's everywhere. 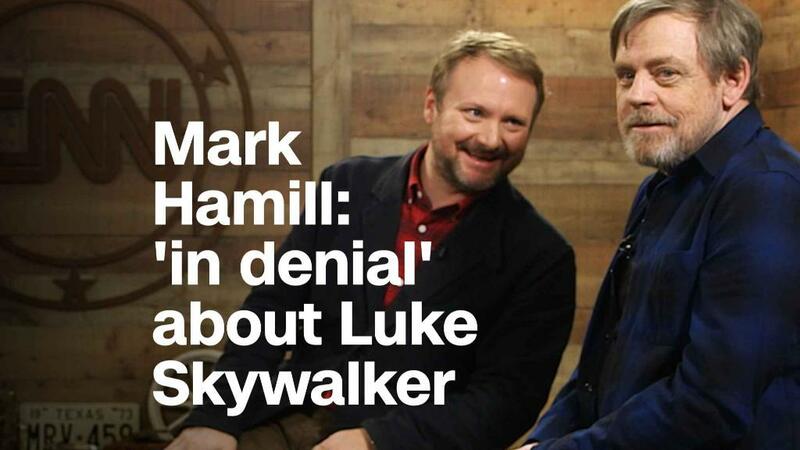 Luke Skywalker himself, Mark Hamill, has even said that Disney should "pace themselves." "'Star Wars' felt rare and special and unparalleled when there were only three precious movies held up as the ideal," wrote Kaila Hale-Stern, a senior editor for pop culture site, The Mary Sue. "These days it seems like we're approaching a time where anything can be called 'Star Wars' if it has the right branding." "Solo: A Star Wars Story" has had a bit of a muted buzz. Are Han and Chewbacca suffering from "Star Wars" fatigue? Julia Alexander, a senior internet culture reporter for Polygon, points out that this feeling of fatigue could get worse as Disney ramps up its stand-alone streaming service in 2019. "The only method the company has for competing is offering more of its biggest properties; more Marvel, more 'Star Wars,'" Alexander wrote. "Ironically, Disney's commitment to its expansive universes may just be the thing that finally turns us away from what we once loved most." 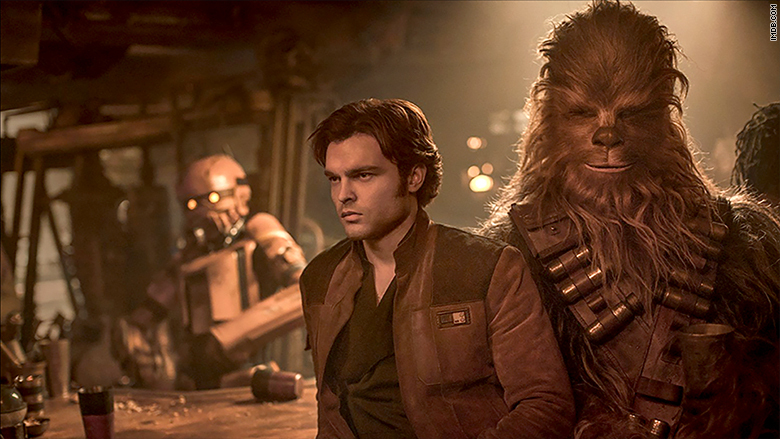 Fatigue or not, Disney has pushed forward on "Solo," despite production issues. The company had to replace the original directors with Ron Howard. The film, which has had mixed reviews, is now going to face stiffer competition in a more crowded summer blockbuster season. But tipping the odds in "Solo's" favor is the fact that it's part of a sci-fi franchise that has brought in roughly $9 billion at the worldwide box office, and arguably has the most loyal fan base in pop culture. And the movie doesn't feature just any nerf herder, but one of its most beloved characters. There's already been a warm reception for Alden Ehrenreich, who plays the young Solo, and Donald Glover, who plays a young Lando Calrissian. That should help the movie take off at the box office -- despite the bumpy liftoff. "Kids, families, and casual moviegoers are a major component of the franchise's success. They aren't as concerned or even aware of the film's production drama or impassioned fan debates," Robbins added. "'Star Wars' has endured that kind of criticism many times in the past, most notably in the days of Jar Jar Binks, but when audiences have looked for popcorn escapism these movies have been as reliable as it gets." And if "Star Wars" fatigue is real, then Disney has time to recover. The next film is more than a year away. "Star Wars: Episode IX" hits theaters on December 20, 2019.